The number of complaints made by non-household customers about retailers to the Water Watchdog has fallen for the first time since the market opened. 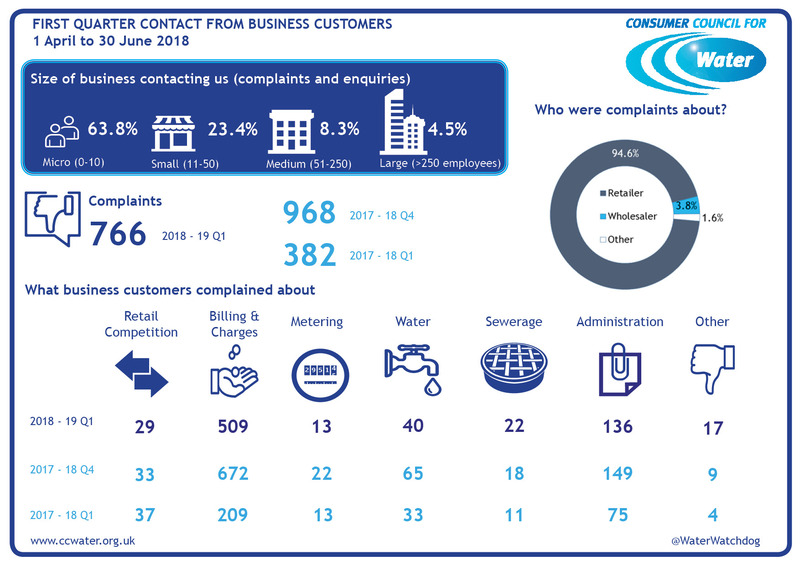 New figures show the Consumer Council for Water received 766 complaints during the first quarter of 2018/19 – a 21 per cent reduction on the 968 received during the final three months of 2017/18. However, complaints are still double what they were during the first three months of the market and CCWater has warned some retailers have much more to do. CCWater wants to see retailers providing more support and information to micro and small businesses who accounted for nine out of 10 non-household contacts to the watchdog.